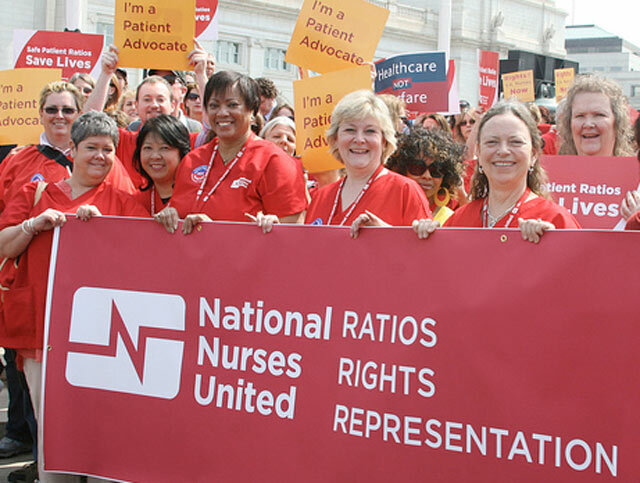 RN leaders and advocates for nurses and patients in Washington D.C.
For existing members, and RNs wishing to become members of the National Nurses United and/or the California Nurses Association. Register online below, or download a membership application best suited for you. Access our member benefits page for discounted services, enjoy better salaries, benefits, and retirement, learn how to organize your hospital, and see a timeline of RN history over the past one hundred years. We've come a long way, and we are still going strong. Join us today!